The new government will announce a mini budget on 14 December. It may well include some of the changes to the welfare system that Labour promised during the election campaign. Welfare reform requires great care. Of all policy areas, the unintended consequences of getting it wrong can be devastating, especially for children. 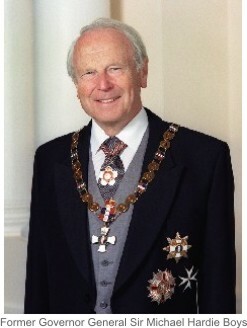 In 1998 (the days when there was still free speech in New Zealand – before the politically correct brigade had gained the upper hand and the power to persecute anyone who dared oppose their agenda) the former Governor General, Sir Michael Hardie Boys, spoke candidly about the dangers to children of being raised in single parent families. Over the years, the risks to children from single parenting that Sir Michael foretold have increased. Welfare dependency in New Zealand is now intergenerational. According to the Ministry of Social Development, most young people who enter the benefit system have been brought up by a parent on a benefit: “Nearly three quarters of all beneficiaries up to age 25 had a parent on benefit while they were a child”. With three out of four children raised by a parent on welfare growing up to become beneficiaries themselves, the new Government’s priority should surely be on moving sole parents into work. However, instead of reducing sole parent dependency and intergeneration welfare, the changes being planned will further entrench them. Once Labour’s proposed benefit increases are introduced, a single parent on a benefit with two children under the age of 12 will get more in real terms than at any time since the sole parent benefit was introduced in 1973. In addition to making benefits far more generous – and therefore harder to leave – under Labour’s coalition agreement with the Green Party, they are planning to lift sanctions. This was a change that was called for by the former Green Party co-leader Metiria Turei, who admitted benefit fraud to make her point. It turns out that she was receiving the Domestic Purposes Benefit (DPB) as a solo parent from 1993 until late 1998 but failed to tell the Social Welfare Department that her ‘flatmates’ – including the father of her child and her mother – were helping to pay the rent. At the time, she refused to name the father of her child, which meant the Welfare Department was unable to ascertain whether she was living in a relationship with the father – which would have made her ineligible for the DPB. Nor could the Inland Revenue Department pursue the father for child support to help reimburse taxpayers for the cost of raising his child. An expectation that fathers would contribute towards the cost of raising their children, had been a key part of the 1973 Social Security Amendment Act (No 34), which introduced the DPB. In taking on the role of breadwinner, to provide stable incomes for sole parents and their children, the State required the private maintenance obligations of fathers to be retained. Under this provision, mothers being granted the DPB were required to take maintenance proceedings against their child’s father, with the proceeds paid into the Consolidated Fund to offset the cost of the benefit. It was this requirement that distinguished the DPB from other benefits – it was not paid ‘as of right’ to those who met the eligibility criteria unless they also satisfied the maintenance requirements. The Minister also pointed out that exemptions were available, including for sole parents who could prove there was a threat of violence against them or their children, if they named the father. These requirements are still in place today, and as of 31 March last year, almost 20 percent of all mothers on a sole parent benefit had not named the fathers of their children. Altogether there were 13,616 parents with section 70A deductions for not naming the fathers of around 17,000 children. Of those, 10,848 parents had a sanction for one child, 2,189 for two children, 476 for three children, 82 for four children, and 21 parents had sanctions for five children or more. Of those listed as having a penalty for failing to name a liable parent, 318 were men. This raises questions over why they are able to get away with not naming the mother, when surely the name of the mother would have been recorded on the child’s birth certificate. Of the 2,825 parents listed as having an exemption from the deductions, 1,106 were still under consideration, with the mothers “taking active steps” to name the fathers – and 533 were for “violence”. This means that claims that women should not be compelled to name the fathers of their children because there is a ‘huge risk’ of violence against them if they do so, are clearly overstated since, when evidence is required, only a very small proportion of women can show that a real threat of violence exists. However, should the Government go ahead and remove the penalty it is highly likely that others may take advantage of this racket. As far as a child is concerned, not having their father named on their birth certificate is a gross violation of their right to know who their parents are. It’s also a gross violation of their right to be raised by their mother and their father. Since children raised by parents who are working have, in general, a much better chance of success in life, than those being raised on welfare, a caring Government should be doing everything in its power to ensure that the changes it intends to make to the benefit system will enhance the wellbeing of children. We know the incidence of social dysfunction – child abuse, substance abuse, domestic violence, educational failure, crime, suicidal behaviour – is much higher in single parent households. By making sole parent benefits more generous, and removing sanctions, the new Labour Government is going to make these problems worse. Indeed it’s regrettable that when the National Government was undertaking its major reform of the welfare system in 2012, that it didn’t follow the recommendations of the Welfare Working Group to replace the sole parent benefit as a statutory entitlement, with support based on work. Doing so would not only have aligned our welfare system with those of most other developed nations, but it would also have sent out a clear signal to parents that it’s far better for children to be raised in households where parents work. The Prime Minister says she wants to reduce child poverty and that’s laudable. But instead of focussing on what’s easiest for the beneficiary, the new government should focus on what’s best for the child. Encouraging intergenerational welfare dependency is not in anyone’s best interest. Should the penalties on sole parent beneficiaries who do not name the father of their child be abolished? The sad on going effect of one parent families on children is the missing nurture from usually a father, the mental and physical health of the child and the so called poverty of the family. In the present day there is no excuse for unplanned pregnancy so the responsibility comes back to the father and mother. Removing the penalties for failing to follow the requirements for being paid a benefit will create an open slather. In life there is always a cause and effect. That should be learned from childhood. There is no ‘free lunch’. Chris. As the traditional family, & traditional family values, have been broken down by successive governments, it has been interesting watching a parallel increase in crime including violence as personal responsibility disappears. This ‘government’ is determined to implement the next step, TOTAL GOVERNMENT CONTROL.. A.G.R.